2-3 yrs Tiny Stars Combo- This is a thirty minute introductory dance class for 2-3 years old children containing ballet, tap, song, musical instruments and creative movement. Young dancers will learn the basic steps while learning how to follow direction and imitate movement in a positive environment. Engaging music is used to get these little dancers inspired to dance. The use of props such as hula hoops, maracas, tambourines, enable the young dancers to use their imagination, creativity and have fun. Ballet, tap, song and creative movement in this 30 minute class. 4-8 yrs Dance Combos- This is an action packed, high energy class. This beautiful class will teach your child the basics of ballet as well to spark their imagination. Basic ballet terminology will be taught. We work on their motor skills such as hopping, skipping and jumping. Tap training enhances rhythmic dynamics, speed and agility. Tap instills an awareness of the music; its timing, rhythm and changes in energy. Combinations are taught and turned into ballet and tap routines. Ballet and tap combos are 45 minute to 60 minute classes. All Boys Tap/Jazz Combo Class 7-12 yrs - Action packed, high energy, turns, jumps, kicks, leaps and dance combination are building tools to be turned into jazz routines. Tap training enhances rhythmic dynamics, speed and agility. Tap instills an awareness of the music; its timing, rhythm and changes in energy. Combinations are taught and turned into ballet and tap routines. Frozen Ballerina Dance Camps- This camp is a short introductory course for new dancers that will teach basic ballet, tap and tumbling movements. The moves are taught using creative and imaginative play. Across the floor movement is introduced to work on motor skills with added turns and leaps. Children then move to the center where they are taught choreography to teach memorization, spatial awareness, and self worth! Routines are based on the child’s ability and talent and designed to encourage artistic and technical growth. They will enjoy craft making themed item to take home to share with their family and friends. 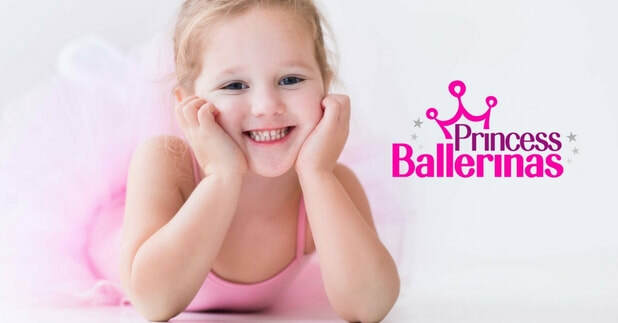 Princess Ballerina-This is a six week course for 3-6 years that are new dancers that will be taught the basic dance ballet movements associated with ballet terminology. Each class follows a progressive class structure. The moves are taught using creative and imaginative play. Across the floor movement is introduced to work on motor skills with added turns and leaps. Each week your child will receive a take home coloring sheet to complete and return to class the following week to share with their new friends in class. A complementary tiara will be given as a gift. Dance attire is required for this dance course. 9-12 yrs Tweens- Isolation's, turns, jumps, kicks, leaps and dance combination are building tools to be turned into jazz routines. Ballet technique from barre to floor, center to a cross the floor and tap technique from time steps to combinations are choreographed into dance routines. Basics of Ballet/Tap/Jazz is covered in the 90 minute class. 13 yrs & Up- A combination of dance techniques in jazz of kicks, turns, jumps, leaps with dance combinations in center and across the floor into dance routines. Combined in tap with our time steps, rhythms and tap technique working for our basic exercises are combined together to create tap routines. Learn ballet positions in a creative instructional class. Ballet technique is taught from barre to floor, center to across the floor. Emphasis on stretching, strengthening and creative expression.Basics of Ballet/Jazz/Tap are in this 90 minute class. Our Pageant Etiquette Training Program- Our Character Development and Leadership Skills Course was created to help cultivate capable, open-minded, globally-focused youth, by equipping them with the Knowledge, skills and values necessary to successfully adapt to an increasingly complex world. Our program challenges and empowers students by providing them with the confidence, motivation, and enthusiasm necessary to impact their own lives and the lives of those around them.The following classes are designed to teach students the rules of basic etiquette and good manners; polish their social and communication skills; help them to appreciate their good points and concentrate on developing them; develop their confidence in their knowledge and ability to handle new situations with ease; help them become more effective in their lives; and prepare them to be tomorrow’s leaders in the global marketplace and citizens of the world. Adult Lady Tappers-This group was just recently formed with a group of lovely adult ladies with a lot of energy. Tap instills in the dancer an awareness of the music, its timing, rhythm and changes in energy. An understanding of musical theory is developed. Technique and combinations are turned into dance routines.